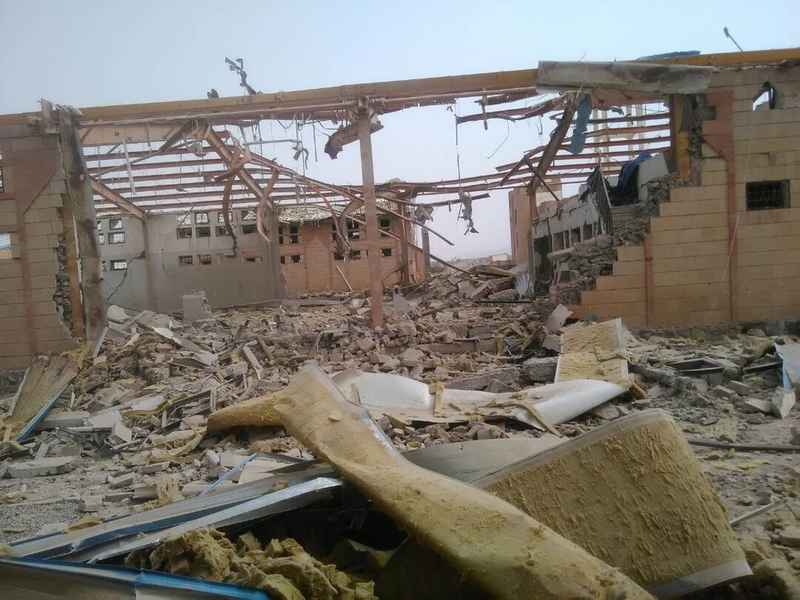 The international medical humanitarian organisation Médecins Sans Frontières/Doctors Without Borders (MSF) is dismayed by several findings of the team appointed by the Saudi and Emirati-led Coalition (SELC) to investigate the bombing of an MSF Cholera Treatment Centre (CTC) in Abs, Yemen, on 11 June 2018. MSF demands that the results of the investigation be reviewed and false allegations against MSF be withdrawn. The findings were announced in a press conference held without notice on 16 January 2019, by the SELC-appointed platform for investigating such incidents, the Joint Incidents Assessment Team (JIAT), a body which was established with UK government support and training. Yet there are various unacceptable and contradictory claims that portray MSF as responsible for, rather than a victim of, the bombing. While the report recognizes that the SELC was partly responsible for the bombing, it fails to shed full light on – and attribute clear responsibilities for – yet another attack on humanitarian and medical work in Yemen. Instead, the report seeks to shift responsibility for the attack away from the SELC, claiming that MSF did not take the appropriate measures to prevent the bombing. The report claims, for example, that MSF failed to display a distinctive emblem on the facility and did not explicitly request that the facility be placed on a no-strike list. In fact, the compound containing the CTC had three distinctive logos displayed, while MSF shared its location at least 12 times in writing with the correct Coalition authorities. “Under international humanitarian law, medical facilities are protected and may not be lawfully targeted even if they are not marked, or if the geographical locations have not been shared with warring parties. It is the sole responsibility of armed parties to the conflict to proactively take all necessary measures to ensure that protected facilities are not attacked,” says Teresa Sancristoval, Operations Director for MSF. Warring parties must be held to account for the suffering that continues to be inflicted on Yemeni men, women, and children. MSF calls on the UK government, in their unique position as a 'penholder' on Yemen at the UN Security Council, to demand that international humanitarian law is respected and health structures are protected.